Sharing geospatial information is a critical component of many defense, federal, and intelligence missions. However, legacy geographic information system (GIS) interfaces are complex, require extensive training, and lack interactive controls that make them useful. To help overcome these challenges, DLT helps deliver the most innovative geospatial technology to the public sector through our partnership with Google. Google’s cloud-based productivity suite, Google Apps, helps agencies and organizations increase collaboration and enhance productivity from anywhere, on any device. Google Apps provides agencies a significant cost savings, employs dozens of critical security features that keeps data safe, and can be accessed from anywhere in the world from any device. It’s simple to set-up, use, and manage, allowing employees to work smarter and focus on what really matters – your mission. 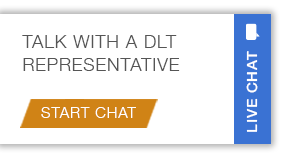 For more information, call1-877-385-3581 or email google@dlt.com.